This Saturday, The Hive Lavender is hosting the Urban Farm & Feast Market – a local farmer’s market at their lovely co-working space. There will be a marketplace, where you can watch demos, purchase food, produce, plants, and garden products, and also on offer are health, gardening and urban farming workshops! I will be teaching an Intro to Soil Class for absolute beginners, and also have a booth selling seedlings, seeds and pre-loved gardening books, so pop by and visit! RSVP: Book your ticket here! Simplified Technology Pte Ltd and others. To view the entire list of workshops on the day, visit the Urban Farm & Feast Market event page! Know someone who could benefit from learning about choosing the right soil for growing plants? Book my class here! 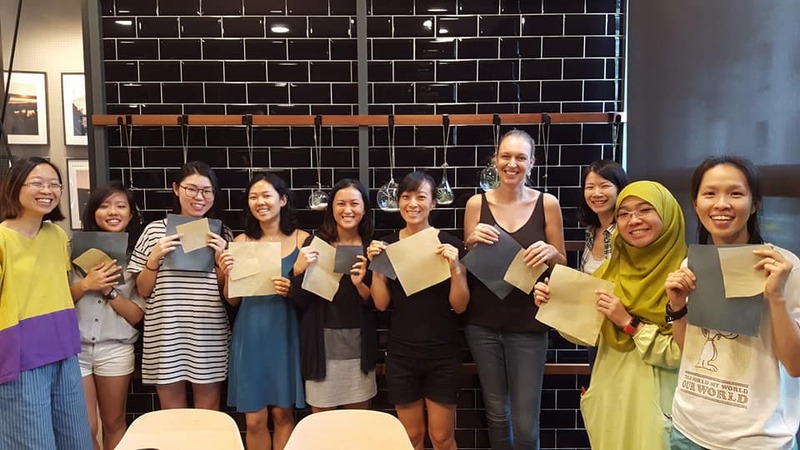 Agy and I are back for another beeswax wrap workshop in early July at Funan Showsuite! Looking for a safe, natural and reusable alternative to plastic wrap and aluminium foil? Join us for this fun, hands on workshop to learn how to make your own zero-waste beeswax food storage wraps for use at home! These perfect for encasing freshly cut fruit and vegetables, and sealing a variety of cooked food, and sauces in containers. We are pleased to collaborate with Funan for this session. 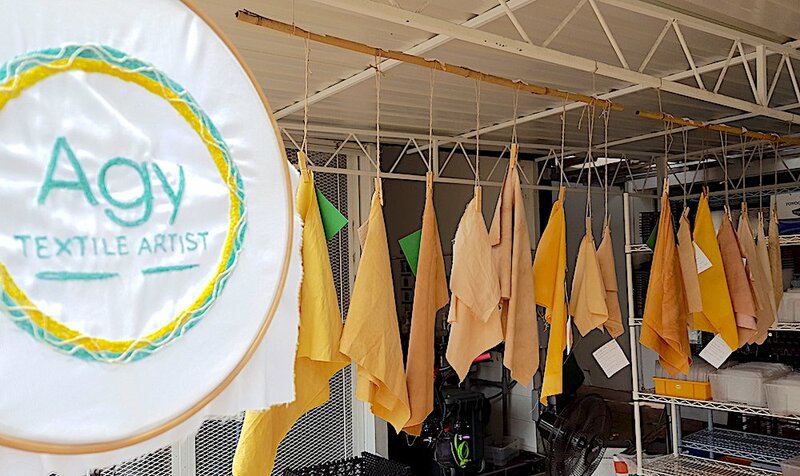 During this 2 hour session, textile artist, Agatha “Agy” Lee, and self sufficiency advocate, Olivia Choong, will guide you step by step in preparing a delicately scented beeswax mixture for application on any natural fabric, and evenly setting the mixture to create a beautiful beeswax wrap, ready for you to take home for immediate use! We will teach you how to make your own beeswax wraps at home! RSVP: Seats are limited to 10 only. Book your seat here! **Please note: this workshop is not suitable for those who have allergies to beeswax, pine rosin and jojoba oil. John Chong is a jovial man and one who loves his bees. 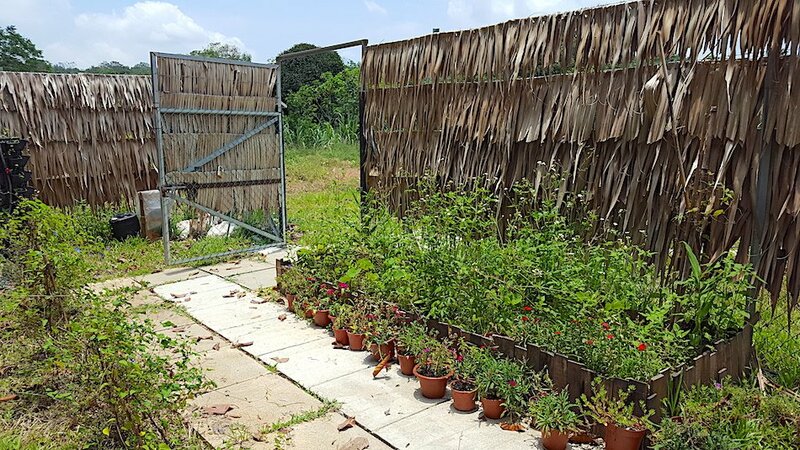 Out of pure passion, he decided to open BEE aMAZEd Garden, a bee education centre at Kampung Kampus, located in Yishun. I have since visited twice, and I really like his humble facility, which has a garden for bees, bee observation gallery, educational aids and an area for classes and workshops. For those keen on bees in Singapore, this is the place for you! My first visit was with my friend GK, and more recently, Waj (pictured above), a beekeeping enthusiast who recently relocated from London with his family. BEE aMAZEd Gardens offers several education programmes including garden tours, bee education classes, and even basic beekeeping, see here for the list. In addition, the education centre also provides organisations a CSR opportunity to adopt a hive. So far, John has hosted school visits to his centre, and welcomes group bookings. Shopping for plants but wondering which ones are toxic for your cat and/or dog? I speak with veterinarian and plantswoman, Gloria Lee, who highlights edible and ornamental plants poisonous to cats and dogs and explains what pet owners should do if their pet is poisoned. 1. Are most plants safe for cats/dogs? Is there a rule of thumb when it comes to choosing safe plants? 2. Which edible and ornamental plants should cat/dog owners completely avoid having around the home? I cannot think of an edible plant which should be avoided around the home, unless you are referring to something like brinjals and tomatoes where the green unripe fruits are toxic. There are some highly, highly toxic plants which can kill outright e.g. oleander, all bulbs belonging to the Lily family, Rangoon Creeper (Quisqualis indica), Deadly nightshade (Atropa belladonna), Datura etc. Flowers in bouquets are sometimes more attractive to cats and dogs and also need to be considered, not just the plants themselves. Bouquets often involve exotic flowers not grown in Singapore or the tropics, and hence, do not ping the radar when investigating a potential source of toxicity. The common plants found which cause gastric signs are often ‘house plants’ or corridor plants e.g. Dieffenbachia(dumb cane), Money plant, ZZ plant (Zamioculcas), Peace Lily, Mother in law’s plant, philodendrons- these only cause issues if ingested in sufficient quantities- which then depends on the size/weight of the pet.